It's too early to wish you a freylekhn khanikeh (Happy Hanukkah), but in any case, KlezCalifornia is starting the month with a big simkheh! On November 20, 180 people enjoyed our first Cabaret by the Bay of the season at the Osher Marin JCC in San Rafael, and what a great event it was! 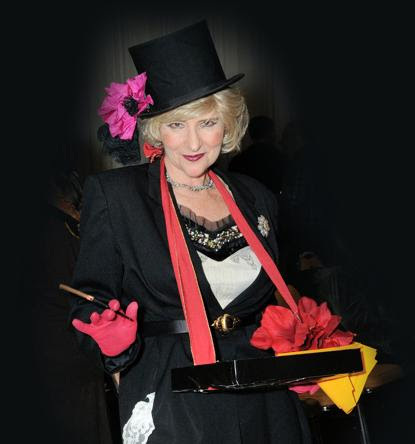 We'll show you some pictures of that Cabaret in the January newsletter. COMING THIS SUNDAY is a completely different Cabaret in Berkeley, paired with nine participatory workshops in a Yiddish Culture Festival, presented with our partners JCC East Bay and New Yiddish Theater. Get your tickets now! There's no additional online transaction fee, so advance purchase costs the same as at door and will expedite your admission. Be sure to check out the eighteen additional December events, including three this evening (December 1). The theme of this year's Festival is Radical Yiddish Culture! *********** BUY YOUR TICKETS NOW! Thursday, December 22, 7:00pm, Author talk: "Let There Be Laughter", with Michael Krasny. Who knew this professor and radio personality could be so funny? Co-presented by KlezCalifornia. No charge, More info: 415.567.3327, Jewish Community Library. , by Daniel Kahn (thanks to Gale Kissin, Sonia Tubridy, and Phyllis Press).
. Gib a kuk, take a look! Proverb of the month: God gave me such a wonderful brain that I can worry more in one minute than others in an entire year (Got hot mir gegeybn aza vunderbareh seykhl az ikh ken mer oyszurgen in eyn minit vi andereh in a gants yor) (thanks to Ken Blady, who will discuss this and ninety-two other witticisms and curses at his workshop at this Sunday's Yiddish Culture Festival). Thursday, December 1, 5:30-7:30pm, Klezmer: Music, History, and Memory with Walter Zev Feldman. A talk based on his new book, "Klezmer: Music, History, and Memory," the first comprehensive study of the musical structure and social history of klezmer music. No charge. Thursday, December 1, 6:30pm, Spirituals from the Shtetl, Davening from the Delta, with Anthony Russell, vocalist, and Veretski Pass. Part of Sonoma State University Jewish Music Series, L'Chaim!Free admission/parking. Reservations may be made two weeks in advance. 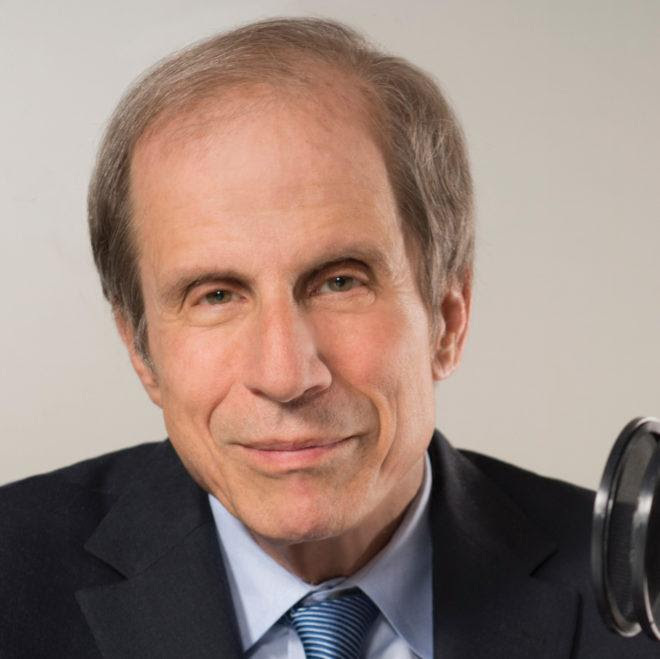 Thursday, December 1, 7:30pm, Michael Krasny in Conversation, with Marc Hershon. Discussion of Krasny's new book, "Let There be Laughter: A Treasury of Great Jewish Humor and What It All Means." Tickets: $15 members / $20 public advance / $25 day of. More info: Krasny at OMJCC. Sunday, December 4, KlezCalifornia Yiddish Culture Festival. See separate box above! Monday, December 5, 2:00-3:00pm, Food for Thought: Jewish Superstition/ Symbolism through the Arts, a presentation by Josh Horowitz. No charge, but registration suggested. Tickets: PJCC members / $4 others. More info: 650.378.2703, Horowitz at PJCC. Monday, December 5, 6:00-8:00pm, Tony Phillips, Dave Rosenfeld & Barbara Speed. Entertainment free with minimum purchase. 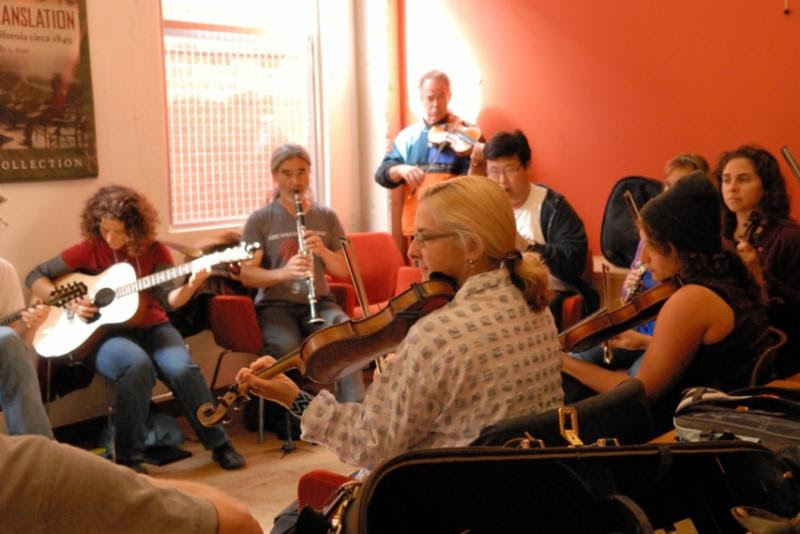 More info: 510.848.3354, Klezmer Monday at Saul's. Saturday, December 10, 4:30pm, Saul Goodman's Klezmer Band, part of Saturday Unplugged, 3:00-6:00pm. No charge. More info: Saturdays Unplugged at JCCSF. Sunday, December 11, 1:00pm, Concert with Jewish Folk Chorus of San Francisco. Khanike songs in addition to several other songs from the 2016 - 2017 repertoire, mostly in Yiddish. 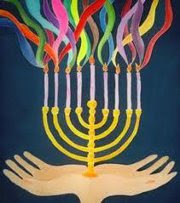 Part of Hanukkah Celebration & Art/Crafts Sale, 11:30am-3:30pm, with latkes and light refreshments. Sunday, December 11, 4:00pm, Kugelplex, performing with Linda Tillery as part of Let Us Break Bread Together - Music from the Era of the Black Panthers. Tickets: $15 - $60. More info:510.444.0801, Kugelplex Let Us Break Bread. Thursday, December 22, "Let There Be Laughter," with author Michael Krasny. See separate box above. 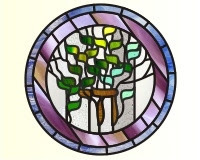 Tuesday, December 27, 1:15pm, Chanukah Concert, with Jewish Folk Chorus of San Francisco. AKhanike celebration of mostly Yiddish and some Hebrew songs. No charge. More info: Renee510.533.3903 or Gail 510.220.6325. Wednesdays, January 18 - February 8, 2:00-4:00pm, Yiddish Literature in Translation, with Loretta Denner. Read stories by I.L. Peretz in honor of his hundredth yortsayt. No charge, but JCC accepts donations. More info: 707.528.4222, lorluba[at]yahoo.com. 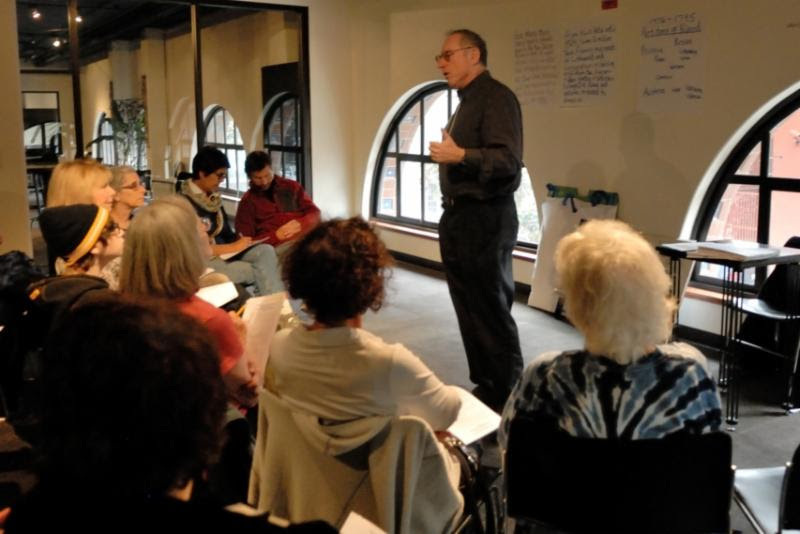 Sunday, January 29, Yiddish In A Day: Giving Voice To Story, Wisdom & Humor. 2:00pm, Sally Holzman and Terry Stokes will share stories by Isaac Bashevis Singer, the "Elders of Chelm", and honored rabbis. 3:30pm, Anthony Mordechai Tzvi Russell, in concert. Tickets: $10 storytelling only / $18 storytelling + concert / no charge students 18 and under.